Breezy's back with a new track and accompanying visuals that give us Shanice "I Love Your Smile" vibes. His new track, "Undecided", produced by Scott Storch (where's HE been?!) is the first official single from Chris Brown's upcoming 9th studio album Indigo. he and "Empire" & "DWTS" star Serayah busts some moves while getting their flirtationship on at a carnival. The track samples Shanice's epic throwback hit "I Love Your Smile", so the visuals give us that after school special vibe we used to love. When Chris drops Indigo in 2019, the album will mark his first release under a new license agreement with his long-time label home, RCA Records. 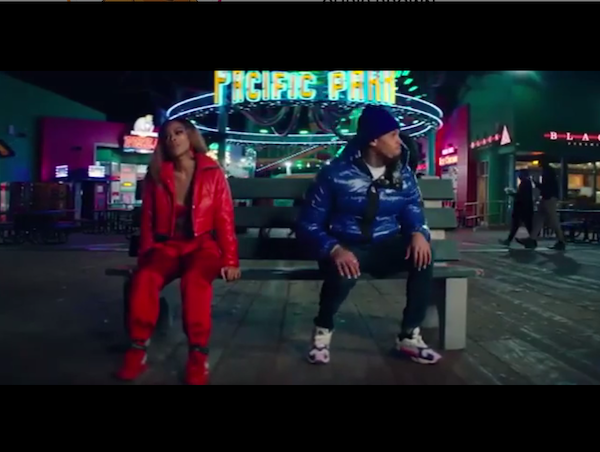 On another track that also dropped today, Future mumbles his way into a new single and snowglobe-like video, “Crushed Up”. The video kicks off with a young Future peering into a snow globe, then the setting flips from a trap house to a wild wonderland. According to Future's team, the visual captures the track’s outsized ambition with otherworldly exposition and psychedelic energy. The 90's are def in full effect again throughout. Future's giving bright, puffy coats, stripper poles in mansions, and super small sunglasses. Check it above. "Crushed Up" marks his first new solo album since the success of the 2017 albums Future and Hndrxx and the multiplatinum banger "Mask Off." His seventh album is set to drop January 18th.